Insulation is arguably the most important of all components used to construct your home, but it is also the most overlooked since it is mostly hidden from view. If your home was a football team, the insulation would be its offensive line, blocking the defense (the outside hot/cold air) from penetrating the backfield (conditioned space) and sacking the quarterback (the homeowner) and making sure you are comfortable “in the pocket”. When you watch a football game, you only notice the offensive line when they are not working together, the same can be said about insulation. If your insulation is not installed correctly, your home will be considerably less comfortable than it could be. A poorly insulated wall cavity is like an offensive lineman taking a misstep and allowing that big defensive end of cold air to burst through sacking the temperatures of your home. It doesn’t matter how amazing that granite bar top looks if it’s too cold in your basement to have buddies over to watch the big game. A well-insulated home will keep those outside forces at bay and allows your “skill players” (heating and air equipment, wood floors, etc.) to shine! You may ask how could I know if my future home’s insulation will be up for the challenge? When you build a Certified High Performance Home you can rest easier knowing that your home’s insulation was inspected by a certified Home Energy Rater and graded appropriately. Each HERS rated home has an insulation and air sealing inspection to make sure your thermal barrier is aligned and ready to block out the elements. If the insulation is not up to par, the HERS rater will inform the builder of where the can improve and close the gaps in the line. Insulation is graded at three different levels, Grade I, Grade II, and Grade III. The grade is given depending if there are noticeable gaps in the installation, it is noticeably compressed, or the cavity is not completely filled. Gaps in the insulation allow cold air to flow around the barrier. Compressed insulation does not allow the insulation to perform to its R-value (or resistance to air flow, the higher the R-value the longer it takes for air to flow through). If insulation is compressed it will not operate to its full capabilities to resist outside air and will allow it to penetrate the home at a much faster rate. 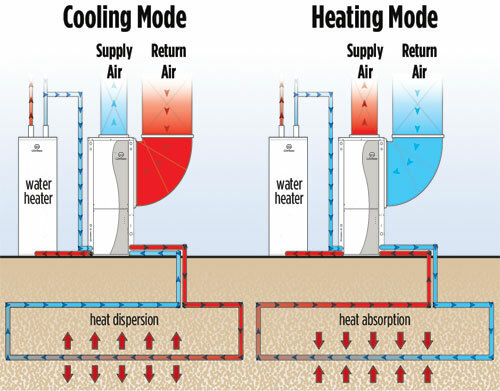 Ground Source Heat Pumps, or more commonly referred to as geothermal heat pumps are one of the most talked about heating and cooling systems in the consumer market today. Consumers are excited about the incredible energy savings that can be had by installing one of the most efficient heat pumps on the market. The problem you ask? 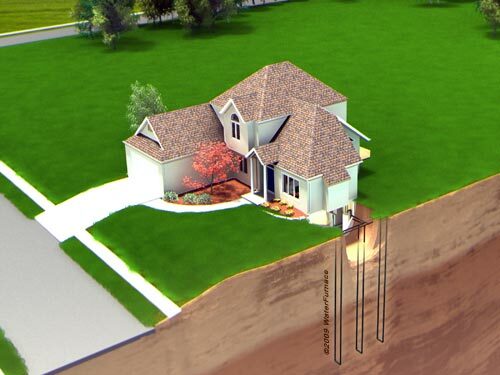 Most contractors and homeowners don’t understand this “new technology” and the benefits they can get by installing geothermal. I will give you some history of the technology and some tips for selecting the right contractor for the job. Ground source heat pumps have existed for well over 60 years. There is a myth of it being a new technology, the truth is, it is just misunderstood and some HVAC contractors just choose to not install them for fear of how they actually work, or don’t have the knowledge to design it. These systems can achieve energy efficiency ratios (EER) of 41, and a coefficient of performance (COP) of 5.3. The higher the numbers the less money you spend running it, similar to the gas MPG of your vehicles. Air source heat pumps cannot reach 50% of that efficiency and don’t perform well when the temps drop in the single digits. The rate of return on most ground source heat pumps is 3-10 years or sooner with the benefit of tax incentives or power company rebates. These rebates change yearly so be sure to research these costs as they can save you thousands off the initial investment. The key to selecting the right contractor for your ground source heat pump is to make sure they are designing the system properly. Otherwise, the expected energy savings may not be attained. 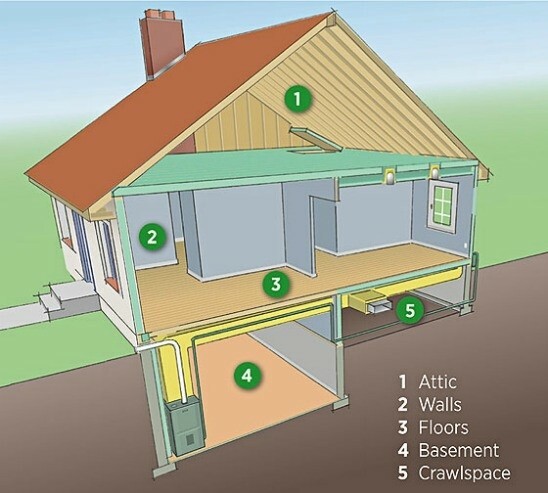 Make sure installing contractor does the at a minimum calculations called: Manual J and Manual D. Manual J is a calculation which determines the heating and cooling loads on your home based off your homes orientation, outdoor design temperatures, R-Values of the building shell, interior loads, and window performance. Don’t be afraid to ask your contractor for a copy of this Manual J load calculation report. If your contractor doesn’t ask questions about those design values, he may not be sizing it correctly. Manual D takes the design a step further, and designs the ductwork for optimum velocities and pressures needed for correct air delivery. This calculated by using design parameters from the equipment’s blower performance charts and pressure drops on the duct system. Don’t be afraid to ask your contractor for a copy of the Manual D calculation report. The final crucial step for a high performing geothermal system is to ensure the water loop field is designed correctly. Your contractor designing the well systems must research and understand soil types and the ability of the soil to transfer energy. Rock and clay type soils hold more energy therefore the loops may be shorter. Sandy soils absorb less energy therefore your loop field will need to be deeper or more loops may be added. If done right on new construction, geothermal systems can reduce the HERS score by up to 25 points. With current tax incentives and rebates, they typically cost $4000-$6000 more than a high performing standard system can pay for themselves in less than 5 years. The Race for affordable home automation is officially kicking into high gear. 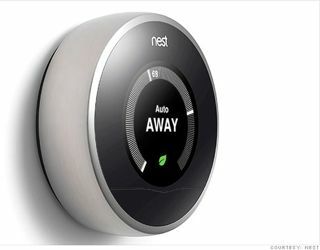 Google's acquisition of Nest is a very good sign for the high performance home industry. Why? In my opinion, the underlying math which had to have been Google's calculus for justifying a $3.2 billion dollar valuation is fundamentally the same math that drives builders to build high performance homes. Let me explain my thoughts. Without a doubt, Nest is a very well-run company that has executed a new technology product introduction almost flawlessly, truly understands product design and is great at marketing. They've recently migrated from a great thermostat to a pretty good smoke detector and I'm sure they have a very large pipeline of new products that we can only guess at for now. For Google to have paid as much as they did (the second largest acquisition price in their history) means that they see lots of problems and a huge future in devices that solve them. It's also a huge endorsement of the “Connected Home” movement, which we predicted as one of the megatrends for new construction of high performance homes in 2014. It's very important to recognize that Nest's success, just like Apple's, is in creating demand for products none of us knew we needed. How many of you have been fretting about the problems with your current smoke alarms? Not so many, I'd guess. But along comes Nest with a cool, smart and beautiful new approach and suddenly there's a market (remember this is the same team that invented the iPod). That same dynamic is true for high performance homes. Congrats to all the great folks at Nest.